SAY Detroit improves the lives of Detroit’s neediest citizens through shelter, food, medical care, volunteer efforts and education. It serves as the umbrella organization for ongoing major projects, such as Working Homes / Working Families and the SAY Detroit Family Health Clinic, servicing a population from infants to senior citizens, and veterans. It also supports dozens of likeminded charities in the Detroit area through funds raised at Albom’s annual December Radiothon, broadcast live on WJR (760 AM) from Somerset Collection in Troy, MI. 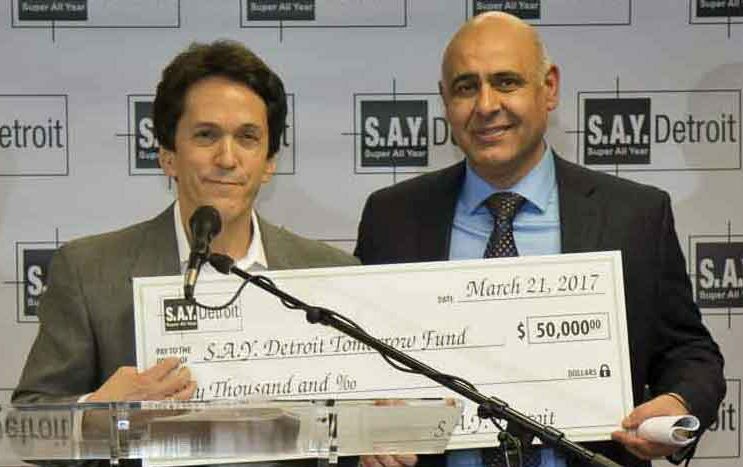 Mitch Albom, SAY Detroit Founder (left) and Chad Audi, CEO of Detroit Rescue Mission Ministries (right). 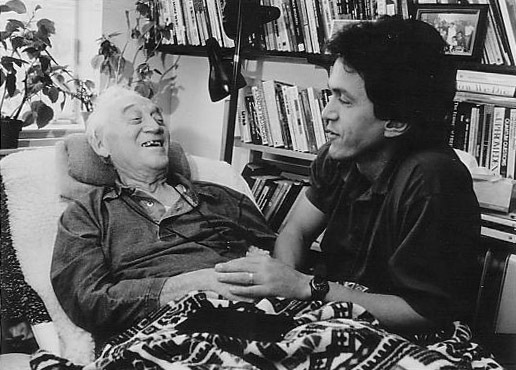 Mitch Albom begins forming charities the same year that his best-selling memoir of all-time (Tuesdays with Morrie) is published. He creates A Time to Help as a means of inspiring Detroiters to volunteer on a regular basis. 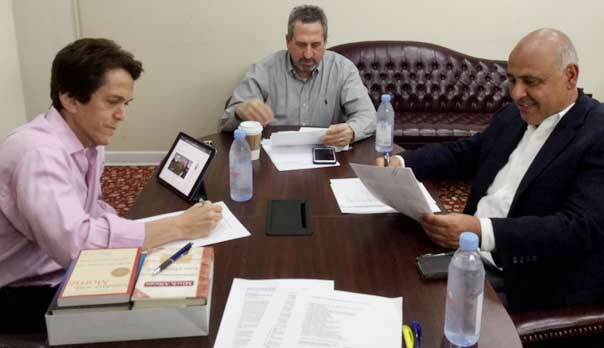 Since then, more than 200 monthly projects have been completed by thousands of volunteers. extending vital programs and services at the DRMM, and creating Bright Beginnings Child Development Center (together with Ilitch Charities). The SAY Detroit Family Health Clinic opens its doors, becoming among the nation’s first free health clinic devoted to homeless children and their mothers. A Hole in the Roof Foundation is formed to help faith and relief groups of every denomination who care for the homeless and/or victims of disaster in Detroit and beyond. The Detroit Dream Scholars is established, awarding four-year scholarships for young people to study the arts at the College for Creative Studies in Detroit. The same year, Working Homes / Working Families is formed to help working families secure housing in refurbished homes in an effort to strengthen city neighborhoods. In 15 hours of live broadcasting, the first ever Radiothon raises over $400,000 to help the poor, the homeless, families without homes, children without medical care, students hoping to reach the college of their dreams and veterans who have hit hard times.The day’s entertainment brings together all parties—the people who benefit from these charities, famous folks who wish to call attention to them, and generous supporters who wish to help. 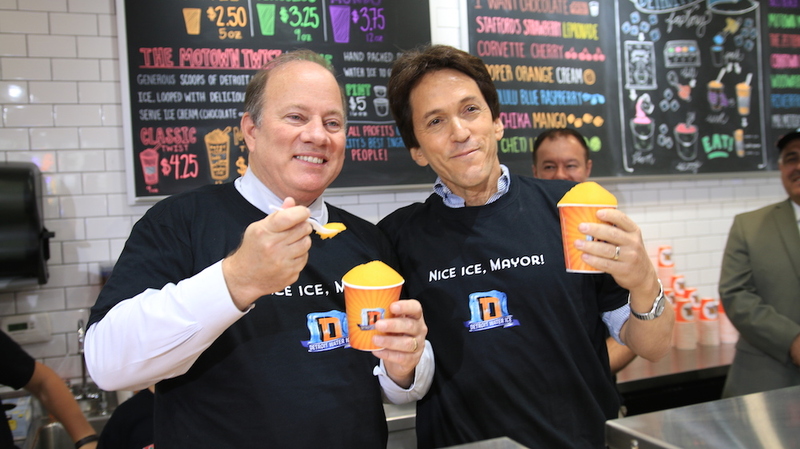 The Detroit Water Ice Factory opens in downtown Detroit, while the SAY Play Center at Lipke Park kicks off its first year on the city’s northeast side. Bolstered by volunteers serving as reading mentors, the center offers a first-rate tutoring program along with athletics, music, robotics and the arts to after-school students. 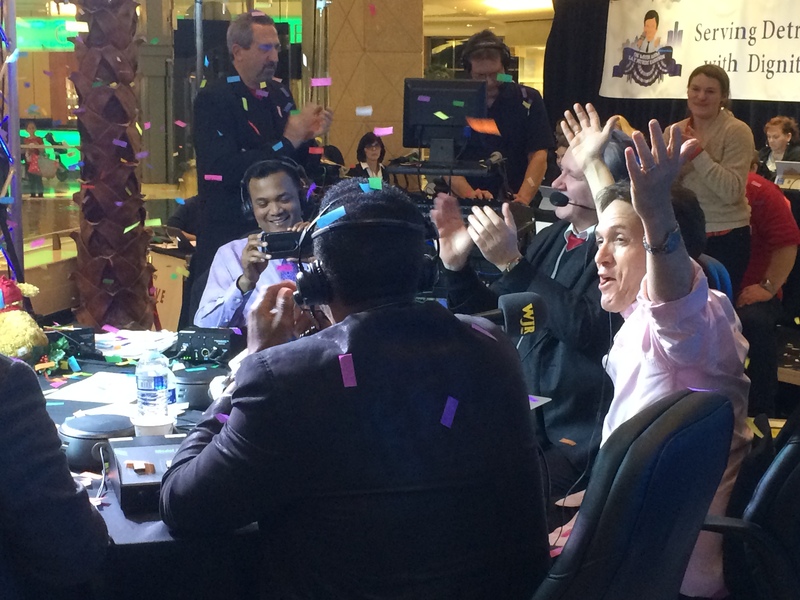 SAY Detroit celebrates 10 years, and the December Radiothon raises over $1 million dollars in just 15 hours for the second year in a row. The Tomorrow Fund, an endowment fund created to be a catalyst for a new stage of growth at SAY Detroit, launches. To be held on June 19, SAY Detroit is hosting a one-night only foodie experience and fundraiser. EAT Detroit lets patrons wander between the city’s hottest restaurants, tasting chef-created small plates and specialty craft cocktails, all in a festive atmosphere featuring area musical acts at each restaurant. Info and tickets here. Our new expanded leadership will better serve our programs, provide governance and steer the nonprofit toward a sustainable future by ensuring that it has adequate resources to advance its mission.